Perhaps the most difficult aspect of a divorce is making certain that your children continue to lead happy, safe, and healthy lives despite the difficult change in their parents’ relationship. But while both parents may mutually agree to make decisions based on the best interests of their children, each often has a different concept of what the child custody and visitation agreement should be. Even years after a divorce, changing or amending custody agreements, visitation rights, and support obligations can be complex, overwhelming, and emotionally trying events for everyone involved. 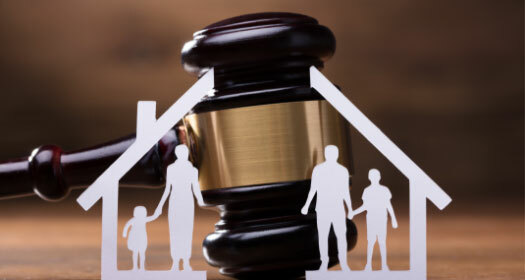 At Rinehart, Butler, Hodge, Moss & Bryant, P.L.C., we are dedicated to helping clients protect their children in the wake of a divorce or marital separation. Whether we are able to come to a mutual agreement between two parents or whether we need to fight for a just resolution in court, our team of experienced family law attorneys is determined to preserve and protect your rights and your relationship with your children. Who will have the right to make decisions about my child’s health, education, religion, and emotional development? Will my spouse be able to move away or relocate with my children? Who will have financial obligations to help support my children? Will my children live with me, with my spouse, or both? What will my visitation rights be? Can I change or amend my current custody rights or visitation rights? Will my spouse’s misconduct or my misconduct affect my child custody case? Will my children’s preferences be considered during my custody battle? Ultimately, how does a judge decide the best interests of my children? Our Virginia family law practice understands that just as every family is unique, every child custody agreement will be equally unique. Our first job at Rinehart, Butler, Hodge, Moss & Bryant, P.L.C. is to listen to your concerns and to fully comprehend both what your current custody situation is and what your ideal custody situation is. After we understand your needs, we will help you identify all of your possible legal options and how we can successfully achieve your goals. We believe that it is not an attorney’s job to tell clients what to do – we understand that you know your family best and that only you can make final decisions regarding your case. However, we will provide you with the legal information, trial and negotiation experience, and advice that you need to make informed and reasonable decisions. While it is usually better to resolve a custody disagreement without litigation, an amicable solution is not always possible and you may need to fight for your custody and visitation rights. Especially if your former spouse has also sought the advice of a family law attorney, it is important to level the playing field and ensure that you have an experienced and knowledgeable child custody lawyer on your side. If you live in Stafford County or the surrounding Virginia area and have questions about a child custody, visitation, or relocation case, contact us for help. We want to work for you. Call us at (540) 659-2184 or fill out the online contact form on this page to order a free family law ebook that can help you understand your case. Rinehart, Butler, Hodge, Moss & Bryant, P.L.C., serves clients in the state of Virginia, including the following cities, counties, and towns: Fredericksburg, Stafford County, Spotsylvania County, Caroline County, Hanover County, Westmoreland County, King George County, Fairfax County, and Prince William County.